What Does Your Dream Porch Look Like? We don’t offer “one-size-fits-all” porch designs. 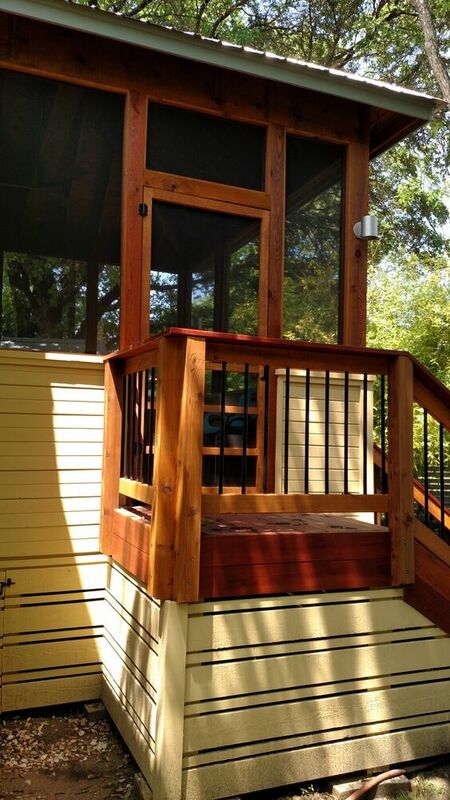 Here at Archadeck of Austin, we realize every customer and every property is different. Instead, Archadeck of Austin works with you to design and build a custom porch that fits your home’s unique needs and your desired function. Not sure what your dream porch looks like yet? A good starting point is perusing our extensive porch photo galleries. Our project portfolio includes screened porches, covered porches and patio covers. 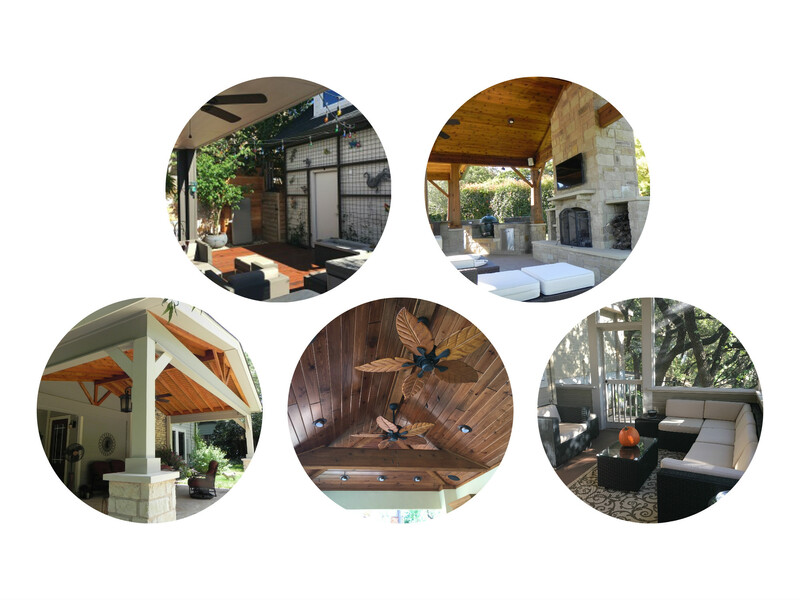 These images show examples of porches we have built for many happy and satisfied customers in the central Texas and Hill Country area. We specialize in extending your outdoor living enjoyment with our open/covered porch and patio designs and bringing all the endearing elements of the outdoors in, while keeping those you are not so fond of out, with our custom screened porch designs. The possibilities are endless with an Austin porch. Whatever dreams you have for your covered porch, Our design expertise can help make that dream a reality. From a simple spot for shade to an elaborate area that includes an outdoor fireplace, large or small, We can bring your image to life! 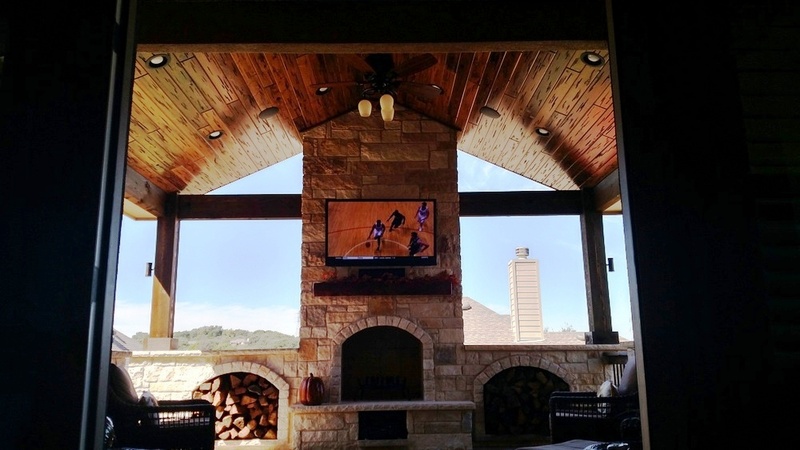 A great way to add value to your home and enhance your outdoor experience is with a covered porch or patio from Archadeck of Austin. Our custom porch and patio covers are designed to protect you overhead without reducing your connection with the outdoors. From simple covered porches to complete outdoor entertainment areas, our porch and patio covers will transform your home from the outside in. 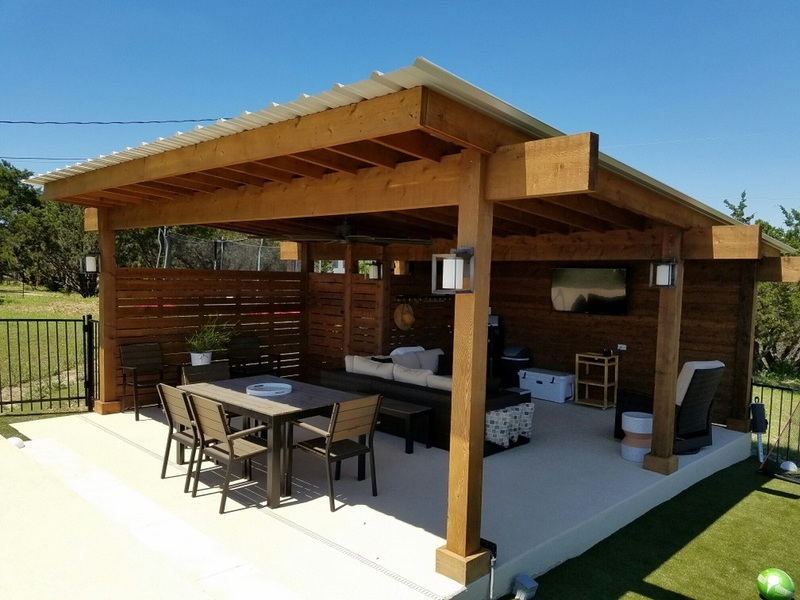 No matter what the weatherman predicts, you know your outdoor plans are covered with an Austin patio cover or open porch. 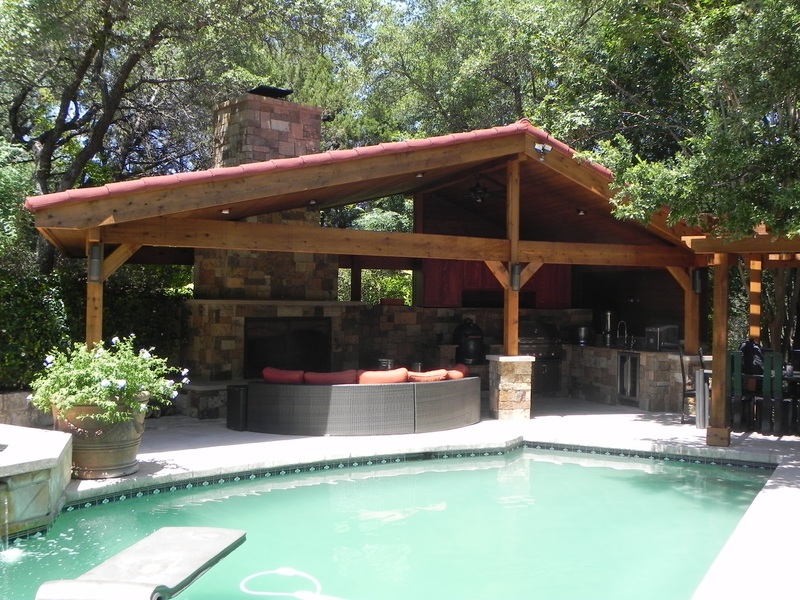 Read more about how these structures are “rainproof” by reading our blog; Enjoy endless enjoyment, no matter what the weather, with an Austin covered outdoor living space!. If you are ready to enjoy the unbridled benefits of outdoor living while keeping cool, relaxed and dry. Contact Archadeck of Austin today at (515) 259-8282 or via email at [email protected] to schedule a free design consultation and begin planning your perfect porch! Detached porches and patios refer to a structure that is not built next to the home itself. Archadeck of Austin bulds many detached covered structures that are close to pools and other water features, and even lakes. These are sometimes referred to as cabanas or pavillions. The two structures are really no different except when you hear the word cabana you imagine a luxury resort where the water is only a few feet away. Many of our detached covered outdoor living space come equipped with outdoor kitchens, fireplaces, TV’s and more amenities capable of rivaling those of any 5-star resort.